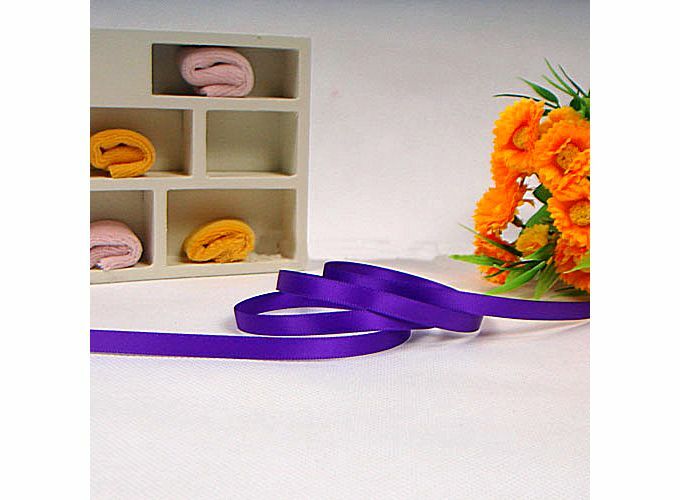 Wide Yards Purple Satin Ribbon 6mm 25 J02386*25, Buy at lowest prices. This is 6mm Wide 25 Yards Purple Satin Ribbon .Make this Christmas a merry one with decorative Christmas ornaments. Great for all occasions, these Satin Ribbon are suitable for all types of environments. Whether for decoration such as party, or for publicity purposes for businesses, this Satin Ribbon allows you print whatever you wish. 6mm Wide 25 Yards Purple Satin Ribbon is your best choice. Cheer up your guests with great christmas party supplies. You can use the ribbon to weave some flowers, birds or something like that, is very charming. It can be used as decoration of hair, dress/ hat, bag, mobile, gift box, etc. Each set include 25pcs roll and each roll is 1 yard in length. Size: 25 yards in length, 6mm in width.